Guys check out the new section that was setup today. Please post any buying, private offers, GM card, and other vehicle financial questions here. Many of the current topics pertaining to this subject have been moved over. Enjoy hopefully this will keep all of these types of questions/answers in one central location. Purchased my 2018 Chevy Silverado double LT allstar cab 5.3 at MacMulkin Chevrolet. They advertised the truck for $29,800 (of course there was no way to get that for most people). But they were pretty damn good there. They knocked $6,000 off with GM rebates (trade in rebate, finance rebate). Then they gave me a "lease rebate" of $1,500, which brought it down to $33,500. They were offering an additional $3,000 if you were a GM lease customer (I wasn't) and a military rebate of maybe $500. I also had to finance through GM for at least three months, which gave me a $1,500 rebate. After three months I can refince at a lower rate with my local bank (GM finance is 6% on a 72 month new car loan). All in all I got what I wanted, we were still off in price so they upped my trade by $3,000. I was out the door at $25,000. Sounds like one hell of a deal! Post pics when you can! I bought a 2017 LT last year and absolutely love it. I still haven't discovered how to post a picture without it going sideways. Lol. But so far I've driven the thing 400 miles since I picked it up Sunday. Love it. Managed to average 21mpg on my first tank so far. I'm hoping I can average 24mpg a week (I drive like an old lady). Heck yea man! I love it! Keep on enjoyin it! 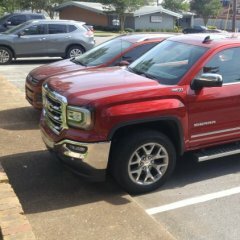 Does anyone know the true mark up on the GMC Sierra 1500's?? You mean from actual cost? No way would GM let that out. Invoice to MSRP is easy to get. I have the invoice to a truck identical to mine from when I tried to order it. Invoice was a lot higher then I expected. And I got the real invoice not the customer version that has a markup in it. 38,000 vs 44,000. Looking to upgrade after 10 years from my 08 GMC CC 4x4 5.3 4-speed SLT. Local dealer has a DEMO 18 Chevy LT 5.3 4x4 6-speed leather bench seats Allstar plus package with 3800 mi for just under 39k. 14k off sticker. Decent price? Sorry if this post doesn't belong here. The financing, rebates page keeps looping back to here. Mod feel free to move. 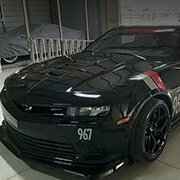 -My question is do any of you guys feel the incentives will get any better on the 2018 Silverados? My lease is up in three months and just wondering if I'd be better off to wait a bit longer for better incentives or just go ahead and re-lease now. There is currently the incentive for Pull Ahead Lease which would still be there if needed in two months. I am over my milage allowed by about 3k currently, but the dealer says they will absorb that.